Over the next couple of weeks our blog will be featuring the latest range of Pantone Colour Charts, giving you vital information about their formats, uses and the colour information they provide. 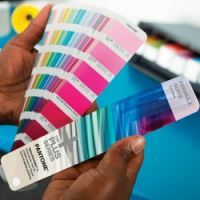 Pantone has been the world colour authority for 45 years, providing printers, designers, manufactures and colour professionals with colour control products that help to standardise and communicate colour and aid the expression of creativity. Always a source for colour inspiration, Pantone now offers inspired products to both industry and consumers. We hope you enjoy the articles and, as always, any coments and feedback will be very much appreciated. View the full range of Pantone Colour Charts.